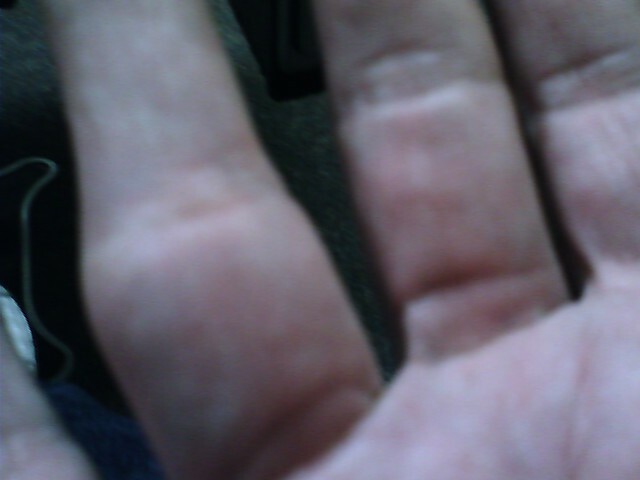 This would be my finger following an incident involving a door today. $116 and a splint later, I think I will live. It's not your lucky middle finger, is it? hope you get better soon, Lisa.